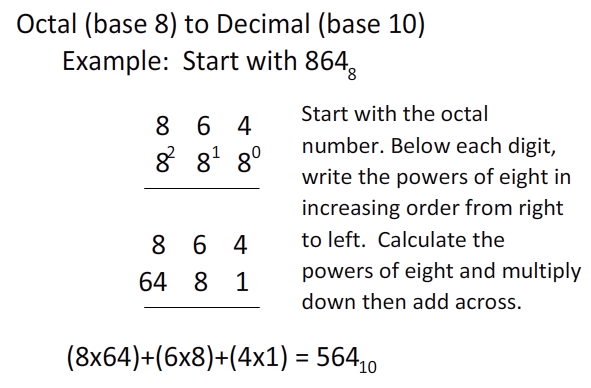 In digital control systems we will need to understand the ways in which these systems represent numbers. 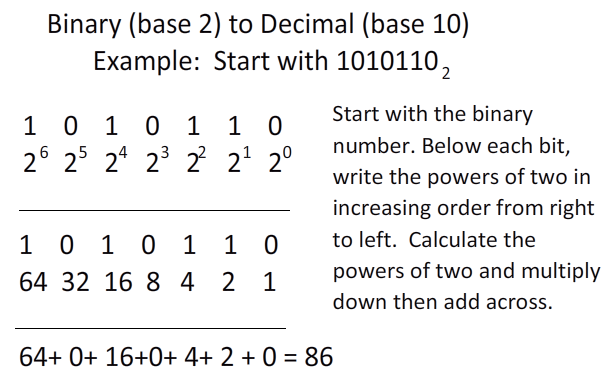 We traditionally use the decimal numbering system but computers use binary and when we program and try to understand what the computing system is doing we use hexadecimal and octal systems. 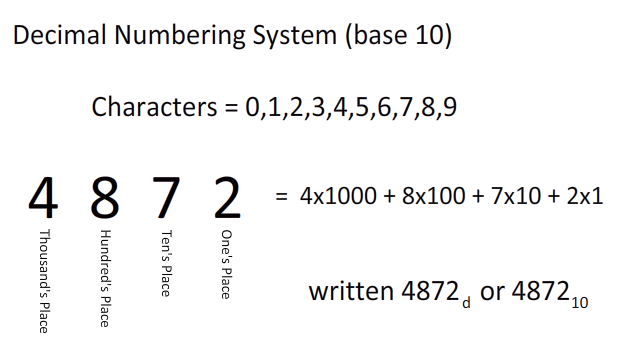 The systems work the same but use a different number of characters to represent numbers. 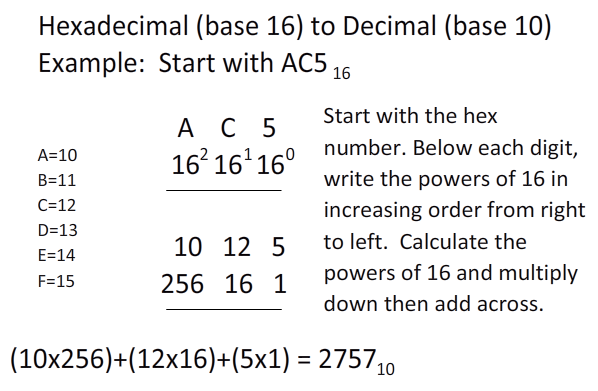 Converting from any numbering system to decimal is almost identical so we will discuss those first. 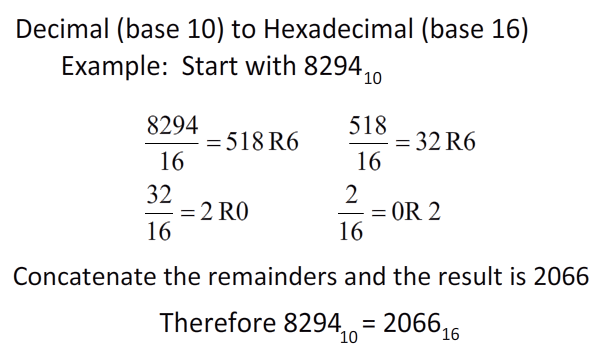 And likewise, converting from decimal to any other base is almost identical and we will discuss them as a group. 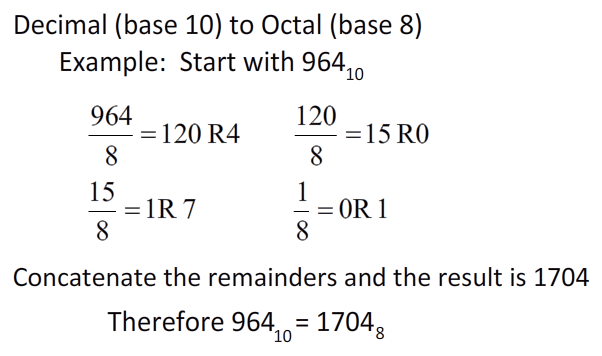 And finally, the remaining six possibilities are Hexidecimal to Binary and back, Octal to Binary and back, and Hexidecimal to Octal and back. One last issue that will benefit from a short focus. 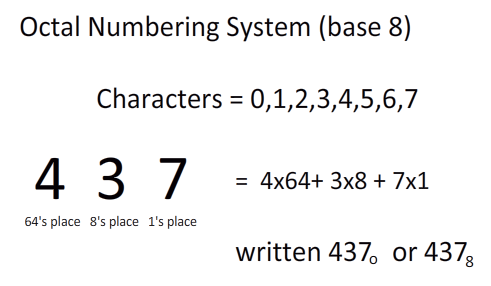 There are two positions in a number that are often given names. 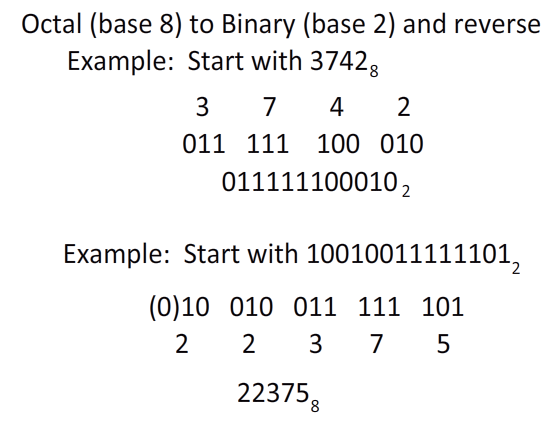 These are the Most Significant Digit (MSD) or specifically the Most Significant Bit (MSB) in binary and the Least Significant Digit (LSD) or specifically the Least Significant Bit (LSB). 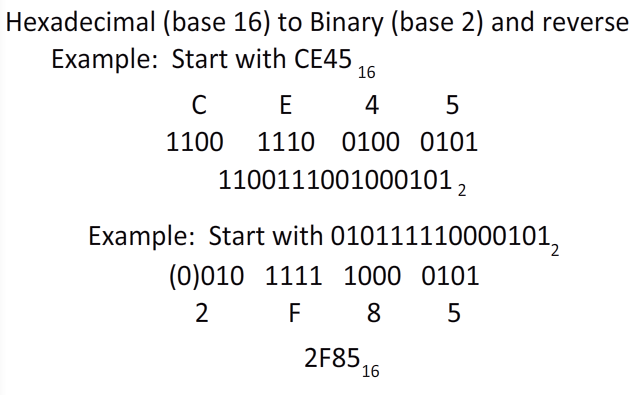 The names are used commonly in the binary system. The MSB is the bit farthest to the left as it has the most value in the number and the LSB is the number furthest to the right because it has the least value in the number. 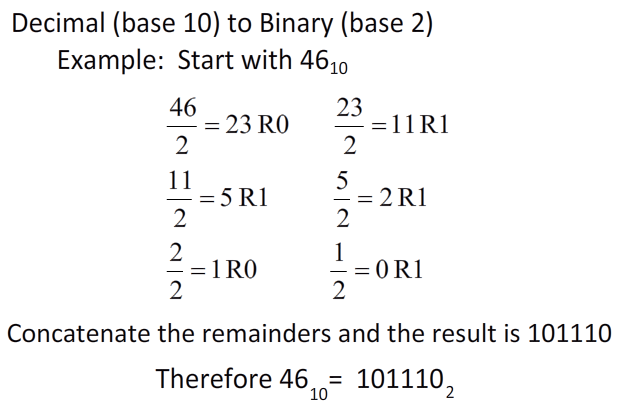 For example the binary number (MSB)01001001(LSB) represents 73. If the LSB changes the decimal value changes by 1. If the MSB changes the decimal value changes by 128. This game does not really come to an end so to submit, take a screen capture of the game when you decide to stop and email it to me in a word document.